Spending your time, especially on weekends or a holiday for a private yacht charter vacation absolutely offers some perfect options to unwind and indulge in pleasures, this shouldn’t mean neglecting your commitment to health and fitness. Tone up your muscles, unwind in a spa, enjoy healthy seafood, and do it all while taking advantage of world-class cuisine and experiencing new places. It’s all possible aboard a luxury yacht charter in Dubai, where wellness and decadence combine – be inspired by our tips for the perfect healthy yacht charter vacation. Take advantage of the yacht’s facilities. Gym, jacuzzi, water sports, fishing, scuba equipment, or snorkeling equipment are some boat facilities or extra perks you can add to your yacht charter package to elevate your fitness routine even while on the cruise. Be accompanied by the yacht charter’s professional crew. You can also enjoy some time for pampering if you would receive on a spa while on a sailing holiday. There is always the option to invite your personal trainer to join your sailing holiday crew. Remember that they will need an accommodation, so they will need a guest spot on the yacht. Dine on a yacht with your personal chef. All you must do is tell about your desired meals on the preference sheet, upon chartering your boat, and you’ll get to enjoy the healthy gourmet meals and seafood prepared by skilled chefs using the freshest produce. The chefs will use lots of local fruits, vegetables, fish, and meats from the area you are cruising to use into their dishes. Otherwise, if a private chef is not an option for you, there is a choice for you to prepare your own healthy meals on board. Even if there might be a private wellness centre onboard, you are literally floating in Mother Nature’s best exercise area! Swimming is an excellent exercise as you need to move your whole body against the resistance of the water, which it’s why it’s good for your metabolism! Of course, watersports can also be fun for the children as they can enjoy different activities such as wakeboarding and kayaking. With inflatable toys that will delight you and your kids in quality family bonding time of water fun activities. Pamper yourself in the spa center. Speaking in terms of luxury, you can charter a yacht with a spa, if you can afford it. Apart from this, there is always the option to spend some time ashore and have yourselves pampered in spas and wellness centres at your itineraries. You should consider making research before your yacht charter holiday begins and include several options in different itineraries, so you can be versatile according to the weather. 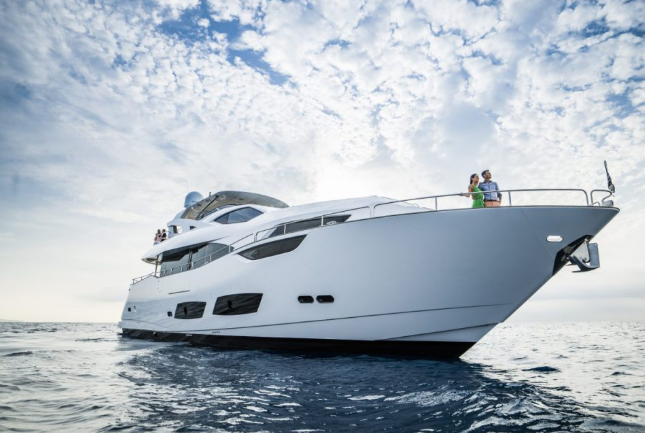 Enjoy your luxury yacht charter even more!